My work is essentially about painting; whatever the subject matter, I am most interested in the quality of light and an intimate sense of place. 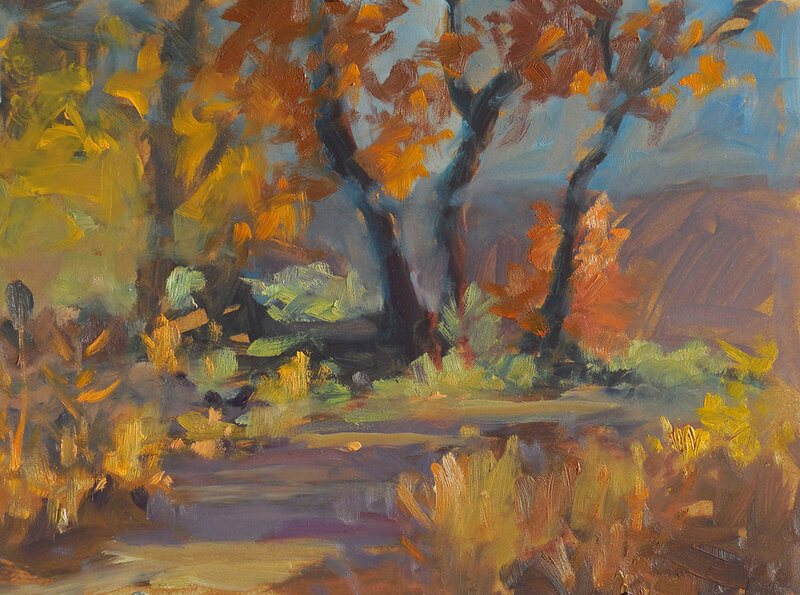 Nature, often in the form of plein air landscape studies, serves as part of my inspiration and is one of my references, rather than the focus. Through poetic suggestion, the viewer may find some sense of familiarity, even in very abstracted subject matter. My process invites interference from various sources, ranging from the paint itself to artists who inspire me. This organic process varies; by allowing the painting to dictate, I react to the various elements and continually strive for balance. Expression becomes an agent, which is revealed in my marking-making and color choices. Further opportunities for surprise occurrences are developed as I work through generations of imagery. Many choices must be made, many purely with the intention of pushing my own boundaries. The unexpected plays a role not only in the process, it may even become the subject matter. 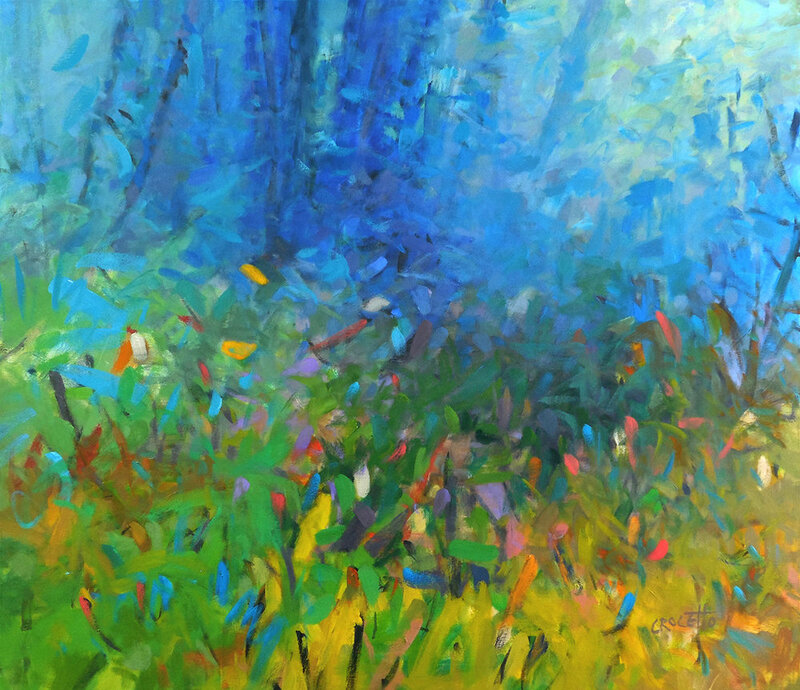 Tony Crocetto was active in the Philadelphia art scene starting in the mid 1970’s, winning numerous awards before moving to Alaska in 1991. 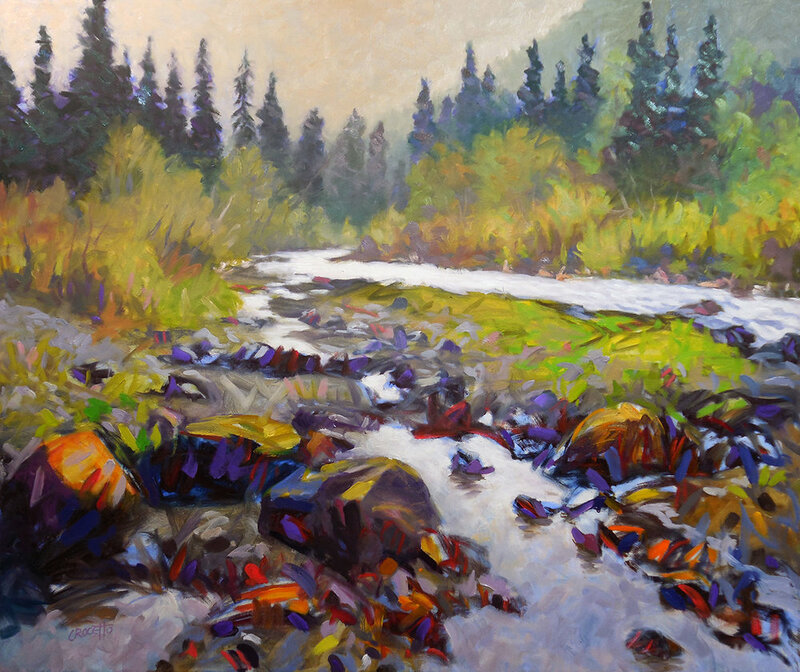 He began exhibiting his work in Denali Park in 1993 and the following year became the first Artist-in-Residence for the Denali Education Center. Tony has been exhibiting his artwork in solo shows, group and invitational exhibits around Alaska and the lower 48 states, and was invited to exhibit his work in the Netherlands in 2004. In 2010 he was selected juror for the 25th Annual Interior Artisans Juried Arts Exhibition in Fairbanks. He divides his time between Alaska and Colorado and is represented by galleries in Anchorage, Talkeetna, and western Colorado.